“Davis Wood Floors did our entire downstairs wood installation. We had gotten a few estimates, and from the very first meeting, the owner Jason was professional, honest, knew every detail of his business & came completely prepared. After a consultation, we decided to replace the old flooring (in very bad condition under carpet) & lay new wood. We were not sorry! Jason did it all, from ordering all the wood, was here upon delivery, carrying it in, showing me what different stains would look like and stayed exactly on the schedule he had given us. The finished product was stunning! Also, when the furniture movers were putting the furniture back in, they scratched my new floor, I called Jason — no worries, he came over & helped fix the scratches. 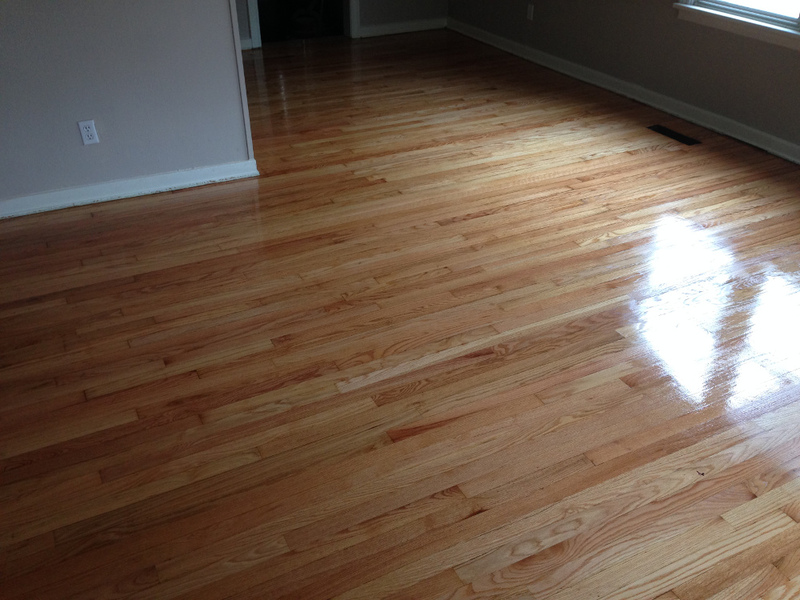 “I was very pleased with the services and outcome of my hardwood flooring with Jason Davis Flooring. 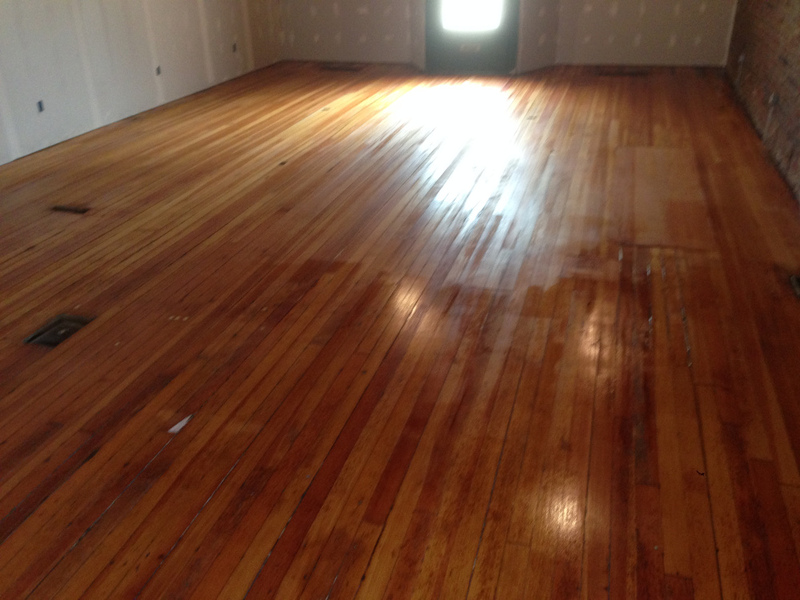 Prior to the services, my floors had quite a bit of discoloration and stains with a thick layer of varnish, as well as a few sections of flooring needing replaced. He took some extra time to even replace a threshold with a large, beautiful piece of oak. Red Oak floor still wet with final coat of varnish. The floors are now BEAUTIFUL and I’ve had several tell me they look brand new. I was very pleased at the end result and highly recommend Jason Davis’ services! 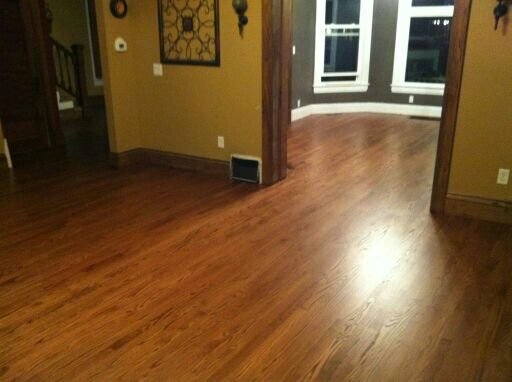 He was great to work with and kept me up-to-date on the progress of the project, sending me pictures from his phone.” ~Amy F.
“I highly recommend Davis Wood Floors for your next wood floor project. Jason went above and beyond his duty in order for me to make my move-in deadline. 100 year old Douglas Fir, wet with first coat of varnish.